at a 'study centre' in a garden in south-central mumbai. now for those wondering what a study-centre is, the idea is thus: there are lots of students in this city who may not be privileged to have a study-conducive environment in their houses. the reasons could vary from dense living conditions (consider 6+ people living in a 225 sq ft tenement), noisy neighbours, lack of electricity etc. 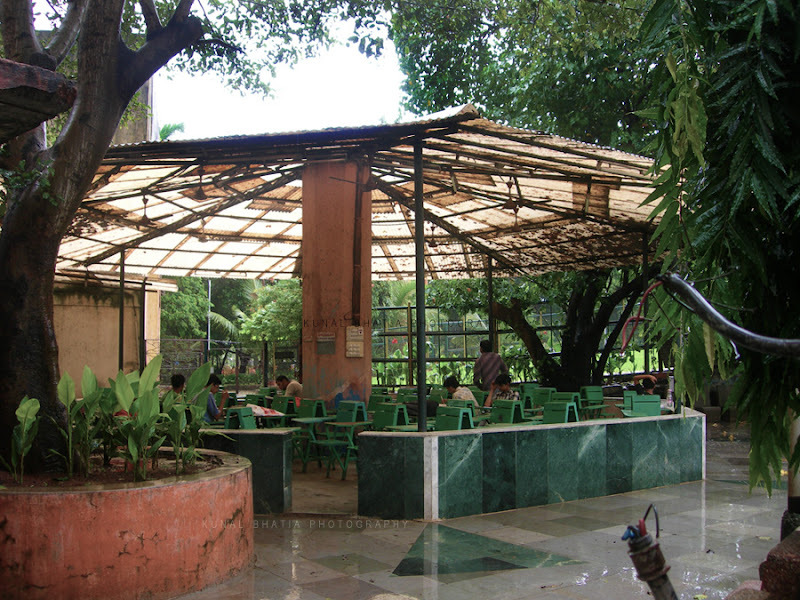 this setup occupies the corner of the s.k.patil garden in girgaon. it's furnished with individual desks-and-chairs under a PVC-canopy with tubelights and fans. a separate adjacent pavillion provides a tiny space for a class or a group-discussion. in case the gate is locked up, one only needs to climb over the wall to get in. this photo was clicked on a rainy july evening, hence the spartan crowd. we learnt that its completely occupied in the exam-season. clicked with my old nikon point-and-shoot while studying the girgaon neighbourhood for a college project, in july 2008. girgaon is a neighbourhood in the inner-city precincts of mumbai. it's relatively well off when compared to other inner-city areas such as null bazaar and offers a microcosm of a particular way of living to document and study. more girgaon / girgaum photos on mindless mumbai: central mumbai skyline, and photos of chawls 1, 2, 3.
update: see a better photograph of this study-centre here. nice place , should be replicated in other places .